Decorating with French country furniture is such fun! French country style combines old with new and ornate with simple and the Amish French Country Chair does this perfectly. The rounded curves add a romantic touch, while the scooped seat is supportive and comfortable. These French Country Chairs match nicely with the Amish Vintage French Country Dining Table. 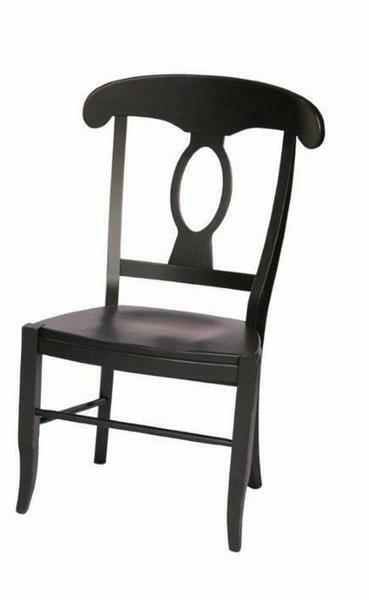 These French Country Chairs are handmade in Ohio by Amish craftsmen. Come to know the quality that awaits you at DutchCrafters--the #1 online retailer of Amish Furniture. We can't wait for you to pick options for your new wood chairs so the building can begin. Thank you for taking time to shop at DutchCrafters.